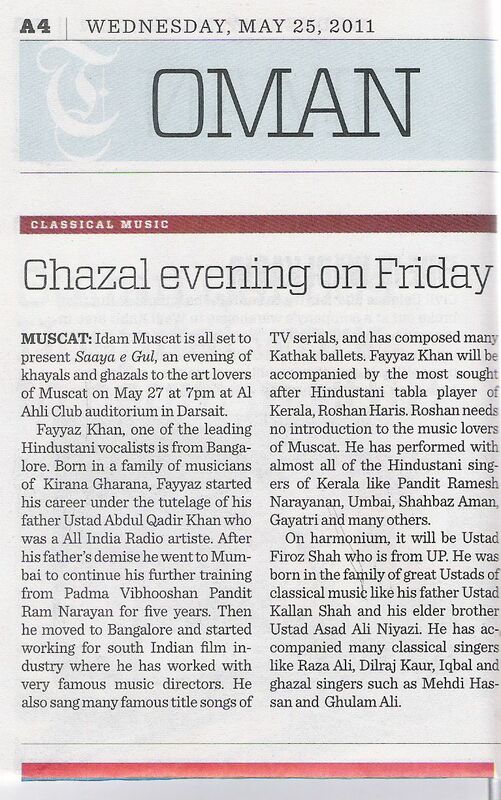 ''Saaya e Gul '' a garland of Khayals and Ghazals is IdamMuscat’s next gift to the art lovers of Muscat. 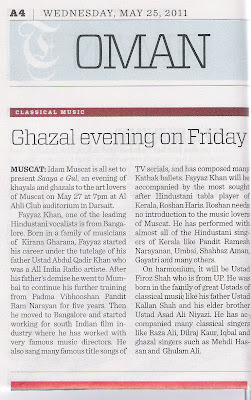 We are presenting Fayyaz Khan, one of the leading Hindustani vocalists from Bangalore. Born in a family of musicians of kirana gharana, Fayyaz started his career under the tutelage of his father Ustad Abdul Qadir Khan who was a All India Radio artist. In his lineage we can find the great Ustad Shaik Abdullakhan (Fayyaz’s grandfather), a court musician in the palaces of Mysore and Nawabs of Hyderabad. 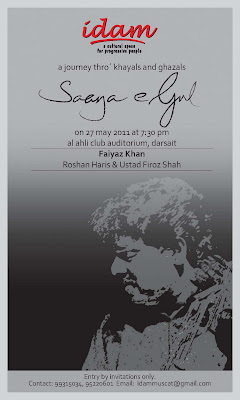 This program, Saaya e Gul, of Khayals and Ghazals will be held at Al Ahli club Auditorium Darsait on 27 May 2011 at 7:00PM.